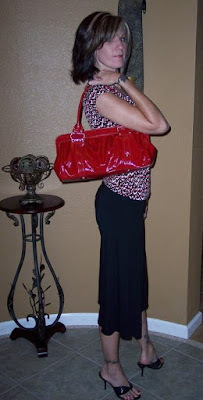 Trinity models the "Rocco" Italian patent leather satchel. Trinity in Florida models the "Rocco" bag. 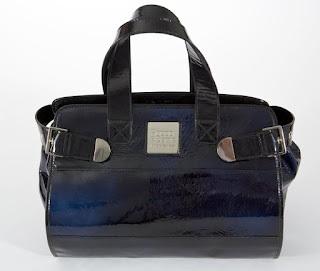 To get your own email us here or visit our website www.roccoedante.com for stores in your area...this bag retails for $445.00 and is fab.....great to wear year round and big enough for everything a busy urban fashionista needs for the day!! Trinity you look great in the bag and what a fantastic outfit! 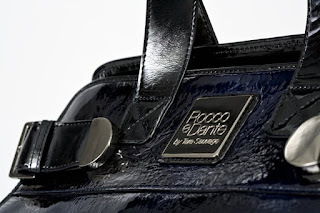 Rocco e Dante handbags will be exhibiting at: Accessories The Show. Stop by and see our collection if you are in Vegas for any of the shows! Hi Friends, come join me for my first trunk show in Beverly Hills! Stop by to check out my latest collection as well as enter a drawing worth $1200 - an Italian leather Rocco e Dante handbag and jewelry from Tres Jolie. Feel free to bring a gal pal or two and stop by! Look forward to seeing all my LA friends again!